Judge Elisabeth Earle was born and raised in Austin, Texas. She earned a Bachelor of Arts degree from the University of Texas at Austin while learning the workings of the law while employed at the State Bar of Texas. In 1990, she moved to London, England and worked for an American law firm, Gibson Dunn & Crutcher. After returning to Austin, Judge Earle worked for the Texas Senate Jurisprudence Committee and the Criminal Justice Division of the Texas Governor's Office. These experiences reinforced her decision to study the law so she moved to San Antonio, Texas to attend St. Mary's University School of Law. While there, she was honored to receive the National Association of Women Lawyer's Award. Judge Earle began her legal career as a prosecutor with the Travis County Attorney's Office where she focused her attention on prosecuting domestic violence cases. This effort received recognition from the Austin Police Department’s Victim Services Division and the experience reinforced her desire to protect and serve crime victims. In 1998, she was appointed Municipal Court Judge for the City of Austin and, in 1999, was named the first Presiding Judge of the Downtown Austin Community Court receiving the Community Collaboration Award. In 2002, Judge Earle successfully won her election to the County Court at Law bench and has been re-elected to serve her fourth term. Since 2011, Judge Earle has served as Presiding Judge of the Travis County Court at Law Judges. Judge Earle frequently speaks on community and restorative justice issues and is often asked to share her vision for using criminal courts to deliver justice to offenders, while simultaneously developing within them a sense of community responsibility and commitment to self-reform. 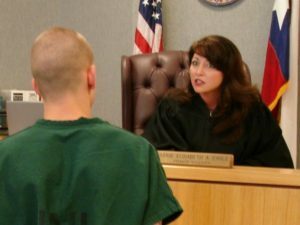 Judge Earle uses her courtroom to change lives and prevent repeat offenses -- all to the benefit of offenders, victims, and taxpayers alike. Judge Earle’s efforts have been viewed by some as the most innovative in the field. She has been awarded the Austin Under 40 Award for Government, received the Toastmasters International Communication Leadership Award for outstanding service, and has been honored by her peers, receiving the Austin Young Lawyers Association Outstanding Young Lawyer and the AYLA Outstanding Alumni Award. In appreciation of her dedication to smart-on-crime policies during the recent Texas State Legislative session, Judge Earle received The DWI Court Advocate Award from the Texas Criminal Justice Coalition. Judge Earle was also recognized in Washington D.C. and awarded the 2012 MADD National President’s Award for Criminal Justice for her role in the implementation of DWI courts around the nation and received the prestigious MADD 2015 Outstanding Judiciary Service Award. Judge Earle’s involvement in the legal community extends nationally, and she has served as Director and Treasurer in the National Association of Women Judges (NAWJ). She continues to volunteer her time and is the point person for the “Color of Justice” program, the goal of which is to encourage minority high school students to consider law as a career aspiration, and was recognized for her participation in the 25th anniversary celebration of the International Association of Women Judges. 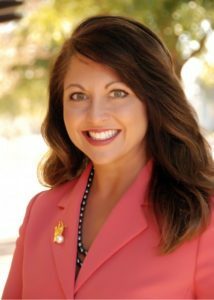 She is a Texas Bar Foundation Fellow, a Master in the Lloyd Lochridge Chapter of the American Inns of Court, and a graduate and past member of the Leadership Austin Board of Directors. Judge Earle has served as President of the Austin Young Lawyers Association, Director of the Texas Young Lawyers Association, the Salvation Army, Community Action Network Resource Council, and Volunteer Legal Services of Austin. In 2014, Judge Earle was elected President of the Austin Bar Association and in 2016 completed her year serving as Chair of the Austin Bar Foundation Board. 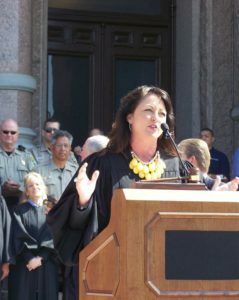 Judge Earle has given her time to the Texas Center for the Judiciary by serving on the Budget Committee for the Third Administrative Judicial Region, as Secretary for the Texas Association of County Court Judges, and as a member on the DWI Curriculum Committee, charged with the duty of teaching the curriculum to her colleagues around the state. She was awarded the Texas Center for the Judiciary certificate for Criminal/Juvenile and Civil Jurisprudence at the Texas College for Judicial Studies. This year, Judge Earle was asked by the Texas Indigent Defense Commission to present at the 15th Anniversary Symposium commemorating the signing of the Fair Defense Act and was elected to the State Bar of Texas Judicial Section Board of Directors Place 9 representing the County Court at Law judges. Judge Earle is the proud mother of two beautiful daughters, Alexandra Claire and Avery Elise, and married to Jeffrey Clark. Your support of the campaign is very much appreciated. Sign up to receive timely, useful information from the campaign. This site was not developed or hosted at State or County Expense. Copyright © 2018 Judge Elisabeth Earle Campaign. Political advertising paid for by the Judge Elisabeth Earle Campaign in compliance with the voluntary limits of the Judicial Campaign Fairness Act. Mack Ray Hernandez, Treasurer.